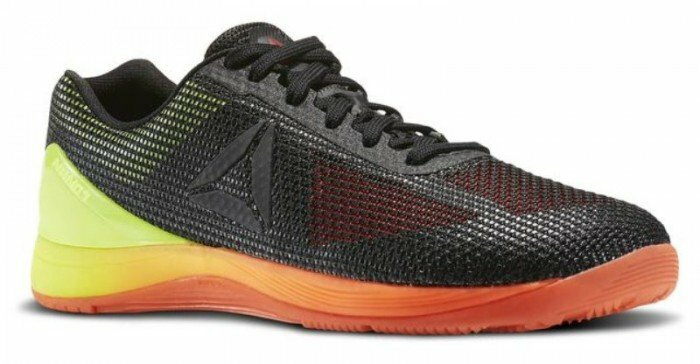 Reebok CrossFit Nano 7.0 for Women Review: Are they Right For You? If you’re looking for a top-quality women’s CrossFit shoe, then the Reebok Nano 7 makes an excellent choice. It’s durable, supportive and is ideal for sprints, jumping, climbing and lifting. Read our buying guide packed with information to help you decide if these top of the line performance sneakers are right for you. The Nano 7 is a classic CrossFit shoe offering from Reebok. Reebok has a serious reputation for putting out some of the top Cross Fit shoes you can buy. Some of their most popular CrossFit sneakers include the Reebok CrossFit Speed, and the unique CrossFit Nano Pump. Reebok is one of the best brands in the business, and their Nano line is just as good. The Reebok CrossFit Nano 7.0 for women is an excellent addition. This shoe is a top quality CrossFit sneaker at an affordable price. Quality at a reasonable price? We love that here and it’s certainly a serious win in our books. If you’re looking for a CrossFit sneaker that can do a bit of everything-sprinting, jumping and climbing, then you need to consider the Nano 7.0 Reeboks for women. These sneakers are light and flexible enough for sprinting. The recent addition of a heel piece makes them stable enough for lifting because your feet won’t slip around in them. A heel to toe drop of 4mm means that it can handle the sprints, where you want a heel to toe drop, as well as the lifting, where you want a flat shoe reasonably well. We also love the NanoWeave in the upper part of the shoe, which will keep your feet cool. Nobody likes hot, sweaty feet! There are some nice styles and colours so you’re sure to find one that suits your tastes. Where to Get These Training Shoes? We’ll give more detail about each one in the next two section. First, there is the addition of NanoWeave in the Reebok CrossFit Nano 7.0. Previous shoes in the Nano series had a Kevlar infused upper. This meant that while they were durable, especially when climbing ropes, they also weren’t very breathable. With the addition of NanoWeave, the Nano 7.0 will be very comfortable and keep your feet cool, even during the toughest workouts. They are slightly less durable, but in our opinion, it’s a good change. It’s rare to climb ropes enough during a WOD to actually wear out your shoes from it. The second difference between the 6.0 and the 7.0 is the addition of a heel piece. The heel piece was added in order to offer some more stability when lifting weights. The Reebok Women’s Nano 7.0 are able to handle heavy loads easily. What about the Nano 8 vs Nano 7? Reebok has taken the feedback seriously about the Nano 7 and improved the shoe for their next version. It’s more breathable, a bit more flexible on the sole, and also grippier. Variety of interesting colours including: pink, black/white, orange/grey, white/red/blue, etc. 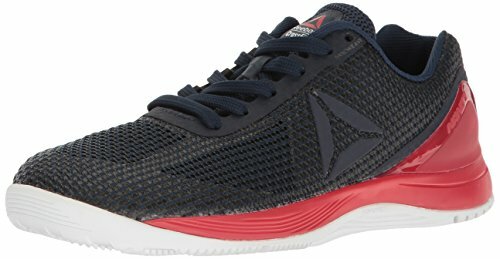 Can I Use The Reebok Nano 7’s for Running or Weightlifting? That’s a great question and we’re happy you asked. These cross-trainers can definitely be used for weightlifting. The minimal heel drop, as well as flat sole provides an excellent base for lifting weights. That’s kind of what they’re designed for actually. However, these are designed for all-round workouts that include rope climbs, box jumps, wall handstands and sprints. If you’re doing solely weightlifting, then you’ll want a flatter, sturdier shoe. Check out some of the best choices here: Your Guide to the Best Lifting Shoes. However, as far as running goes, these are not the ideal choice. They are too stiff, and most running shoes that you’d run a marathon in have a heel-to-toe drop of 10-12 mm, not 4 mm like these shoes. While they can handle some sprinting, there not what you’d want to go for a run in. If that’s what you’re looking for, you can see some of our top choices here: The Best Running Shoes. If you need a new pair of Cross Fit shoes, the Nano 7.0 is a great choice! It’s one of our favourite shoes here at this website and it’s the shoe that many of us have been waiting for to come out. It’s an all-round, top-quality shoe that will keep your feet cool, comfortable and secure during even the heaviest CrossFit workouts. The Nano 7’s can handle a little bit of everything at the gym—sprints, cardio, lifting, rope climbs, box jumps and weightlifting. In short, everything you’d encounter during a CrossFit workouts. What are your thoughts about this popular Cross Fit shoe for women? Leave a comment below and let us know what you think.